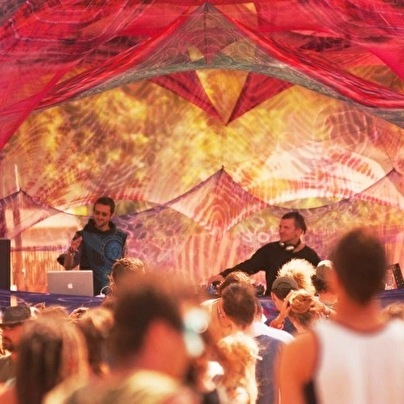 Yudhisthira is the oldest Macedonian goa/psychedelic trance band, consisted of Ogi and Bugi. Those talented musicians met back in 1997 and decided to make music together. Their first gig dates back in 1998. Ogi is a producer (also working as sound engineer for video projects) and DJ and Bugi is multi talented music genius that played in many ethno bands. Their music speaks itself and their live act is a unique trance experience. Performed all around here and there: Austria, Belgium, Bulgaria, Croatia, Czech, Italy, France, Finland, Georgia, Germany, Hungary, Lebanon, Japan, Malta, Portugal, Russia, Serbia, Slovenia, Taiwan, Turkey, Ukraine and hundreds of times in Macedonia. They released the first album "Civilization and Transcendance" in 2008 for Glowing Flame rec. The second one "SineQuaNon" for Vertigo rec. in 2011. Recently joined Forestdelic records and are ready for some new adventures.